ispy a Great Sketch and A Pink Elephant! I know a Great Sketch when I see it and this one was right up my alley! 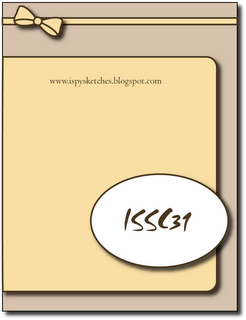 ispy Sketches is such a great starting point if you need help getting the mojo flowing! I flipped my card, but left the layout alone. I decided to include a piece of my favorite design paper in my design! Speaking of DP…the challenge over at the Pink Elephant is to include DP in your project. How easy peasy is that? ( sorry it’s hanging out with kiddos all day that makes me talk like that) I don’t know what I am going to do when I have none of my DP left. You should see me trying not to waste an inch. Please tell me you do that with some of your precious paper? Anyhoos… The card details are pretty very simple not to much to explain… layered some 3 different colors of cardstock, and used my favorite MS punch for the lacey look at the bottom. The sentiment I just got from Verve this week. Love it! A flower and ribbon accent and there you have it! Hope your day is Stupendous and please stop on by both blogs and check them out! 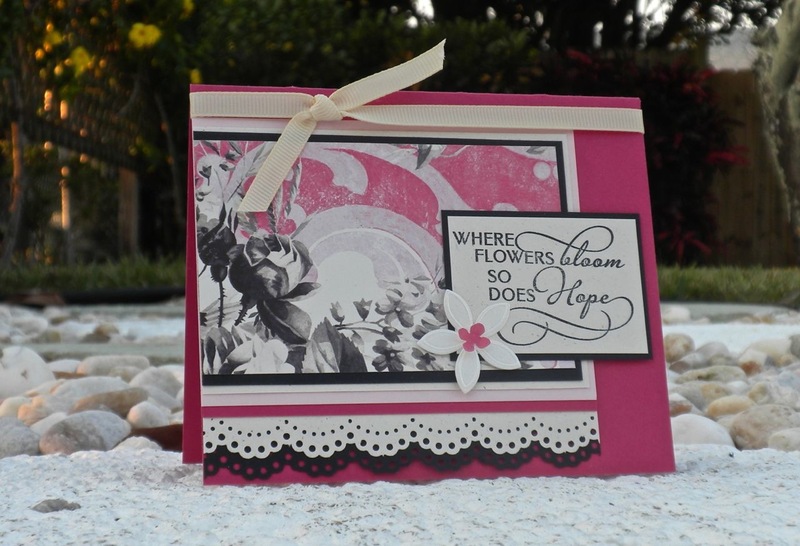 Categories: Cards, challenges | Tags: Card making, Cards, encouragement, rubber stamps, sketch, stamping, Thinking of you | Permalink.